Uglyworld #1110 - Racering Replays (Project BIG - Image 146-365), originally uploaded by www.bazpics.com. 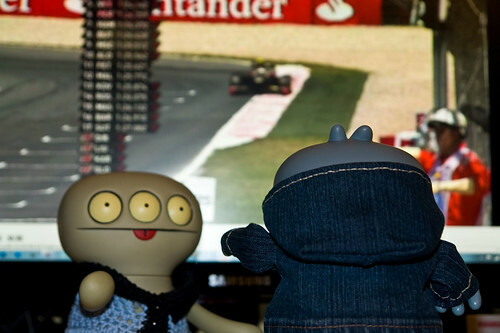 While I was aways in Americas lasters weekend I mades a deal with Cinko that he coulds borrow my cools wooly jumper as longs as he recordered the formula ones race from Valencias for me to watcher when I gets back. Thankfullies he didn't forgets to records it, so I is watchering it now to catcher up on what alls happened while I was aways.